Post-mining landscapes often lie. What we see on the landscape today does not necessarily reflect the complex history in which that landscape was shaped. Instead, post-mining landscapes tell a story designed to convey a specific message to the public, often by heritage organizations or reclamation agencies. In most post-mining landscapes, the story told by heritage organizations is often centered on either mining technology or architecture, seen in the focus on memorializing monuments representative of industrial capital. Consequently, the story that industrial heritage managers tell about post-mining landscapes often revolves around the interpretation of only a select few buildings and machines. However, these tangible manifestations make up only a small percentage of the post-mining landscape, while the overwhelming environmental impacts from mining are generally avoided. Likewise, reclamation agencies wish to convey a story that speaks of environmental cleanup, told through the recontouring and revegetating of waste piles, and the removal of derelict buildings. These reclamation efforts obscure many visible signs of mining, while presenting a landscape to the public that has been seemingly re-naturalized. Yet, reclamation often functions like a band-aid on a tumor, as immediate physical hazards are prioritized for remediation while the more widespread contamination is often left unaddressed. In Minnesota’s Mesabi Iron Range, the post-mining landscape tells a story of state-driven heritage strategies and reclamation efforts aimed at rebranding the range as a recreational rather than deindustrialized landscape. Located in Northern Minnesota, and extending for nearly 100-miles, the Mesabi Range was North America’s most productive iron range. From 1890 to today, more than 400 mines operated on the Mesabi Range removing over 3.8-billion tons of iron ore, the majority of which was extracted from highly efficient open-pit mining methods. Open-pit mining produces massive landscape transformations, evident in piles of mine waste along with deep surface chasms, impacts that persist long after a mine ceases production. During the late 1960s to 1970s, the Mesabi Range witnessed an increase in open-pit mine closure and abandonment, which accelerated the Range’s transformation from an active to a post-mining landscape, reflective of the economic, social, and environmental consequences of an industry based on a finite resource. Beginning in the 1970s, state land managers and local communities began to grapple with how to reckon the landscape transformations that accompanied mine land closure and abandonment. Realizing that the Mesabi Range was entering a post-mining epoch, state personnel began to develop strategies to reimagine and rebrand the Mesabi as something more than a post-mining landscape, by promoting the Mesabi Range as a recreational destination cushioned with a rich and ongoing mining history. This process included the reclamation of the post-mining landscape, consisting of the revegetation of mine waste piles, and the removal of derelict buildings. Steps were also taken to bolster the Range’s heritage tourism economy, through the installation of a rails-to-trails system, and the marketing of active mine-viewing areas to promote the ongoing efforts of the iron mining industry. In rebranding the Mesabi Range as a recreational landscape, the Minnesota DNR also made use of the abundance of new surface waters. As open-pit mines were closed and abandoned, the pumps used to dewater them were shut off, creating a veritable landscape of water. Today, there are 250 more lakes in the Mesabi Range than existed in 1890. Called pit-lakes, these waterbodies are the result of open-pit mining and abandonment, and represent a hydrological contrast from the dereliction that often defines a post-mining landscape. By the late 1970s, the Minnesota DNR began stocking these lakes with trout, hoping to lure Midwestern anglers to the region with this new renewable resource. Although this fish-stocking program has been met with much success, these pit-lakes are currently managed by the DNR as natural resources rather than historic mines, blurring their cultural significance. Yet, the stocking of trout into these abandoned mines has also functioned as an unintentional form of landscape conservation and an innovative approach to adaptive re-use. 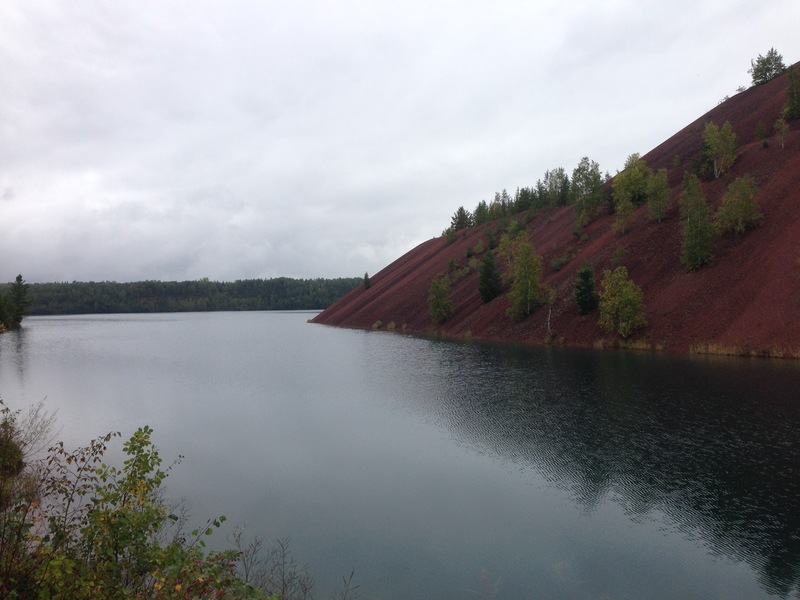 Today, visitors in the Mesabi Range can fish for trout in abandoned mines, as well as scuba dive in the former chasms of the Sparta and Gilbert mines, collectively known as Lake Ore-Be-Gone (a tongue-in-cheek reference to the Garrsion Keillor’s Lake Wobegon). At Lake Ore-Be-Gone, scuba divers can explore a number of out of place artifacts, including a helicopter, a bus, a pirate skeleton, and a WWII era military plane – adding a layer of confusion for future archaeologists. Negotiating post-mining landscapes, like the Mesabi Range, present challenges for communities, land managers, and heritage organizations. Although mining may have ceased, communities within these landscapes often persist, as do the environmental legacies of extraction. It is the responsibility of heritage managers to articulate to communities and to the broader public not just the features on the landscape that they have selectively memorialized, but also the abundance of environmental impacts that may have become obscured by either reclamation or heritage efforts. Doing so provides a more honest interpretation of the post-mining landscape and helps ensure that future generations won’t forget how these landscapes came to be, or what latent mysteries they might contain. John Baeten holds a PhD in Industrial Heritage and Archaeology from Michigan Technological University. He is interested in analyzing the historical decisions that have shaped our understanding of post-mining landscapes, and is especially keen on contextualizing contamination as meaningful cultural heritage. 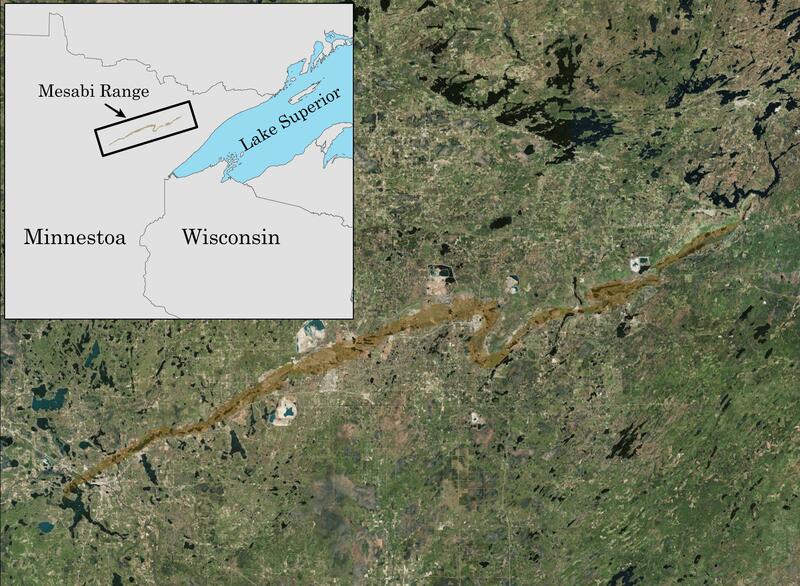 Baeten, John, Nancy Langston, and Don Lafereniere, “A geospatial approach to uncovering the hidden waste footprint of Lake Superior’s Mesabi Iron Range,” The Extractive Industries and Society, Vol. 3, No. 4 (Nov. 2016) 1031-1045. Baeten, John, “Contested Landscapes of Displacement: Oliver Iron and the Hibbing Mining District,” forthcoming in Change Over Time: An International Journal of Conservation and the Built Environment (Fall, 2017). Goin, Peter, and Elizabeth Raymond, Changing Mines in America (Santa Fe: The Center for American Places, 2003). Langston, Nancy, Sustaining Lake Superior: An Extraordinary Lake in a Changing World (New Haven: Yale University Press, 2017). Manuel, Jeff, Taconite Dreams: The Struggle to Sustain Mining on Minnesota’s Iron Range, 1915-2000 (Minneapolis: University of Minnesota Press, 2015). Svatos, Ray, “Fishing Minnesota’s Abandoned Iron Pits,” Minnesota Conservation Volunteer, Minnesota Department of Natural Resources (July-August, 1986) 14-18. A few weeks ago, I had the opportunity to visit Carrie Furnaces, a National Historic Landmark in Rankin, Pennsylvania. From 1907-1978, the furnaces produced iron for U.S. Steel, as part of its massive Homestead Works complex. At its height during and immediately following World War II, the site employed more than 15,000 workers. Today, amazingly, little of the plant’s once gigantic footprint is left – at least above the surface. Indeed, aside from Carrie Furnaces # 6 and # 7, all that remains is a rather incongruous set of smokestacks positioned near the parking lot of a newly built shopping complex in Homestead. What was once arguably the center of American industrial production has, in the span of only a few decades, been rendered largely invisible, save for the important preservation and interpretation work now occurring at the Carrie site. Carrie Furnaces is managed by the Rivers of Steel National Heritage Area (ROSNHA). ROSNHA also owns and has its headquarters in the Bost Building in Homestead, a former boarding house which served as the headquarters for striking steelworkers during the 1892 Battle of Homestead, a pivotal event in U.S. labor history. Ron Baraff, Director of Museum Collections & Archives for ROSNHA, led my tour, which was scheduled as part of the 2013 Pennsylvania Statewide Conference on Heritage. The visit offered a highly informative “behind-the-scenes” perspective on what it takes to stabilize and interpret a site as complex as an abandoned blast furnace. One particular aspect of the contemporary Carrie Furnaces landscape that I would like to highlight is the treatment of natural resources. When the site was actively producing iron, little to no plant life grew in the area. Now, the opposite is almost true. Both native and invasive species have returned, creating an odd and somewhat riveting view-scape, where the steel and brick furnaces are juxtaposed against vibrant green leaves and vines. At a panel presentation on industrial landscapes held during the conference, an attendee asked whether it might serve a better historical purpose to remove the vegetation at Carrie, so that visitors could gain a better idea of what the site looked like during its active period. With so much green, the questioner wondered, would a contemporary tourist lose perspective on what industrial Homestead might have looked like? Such an inquiry echoes debates often heard at other park and historic sites, such as removing trees from a Civil War battlefield or removing 19th century architecture from a historic park connected to the colonial period. While I am sensitive to the question, especially as I personally dislike attempts to aestheticize abandoned industrial spaces, I think removing the plants would be a grave mistake (unless, of course, they are seriously harming the furnaces). Why? Because ruin, abandonment and environmental regeneration are all critical to the story of Homestead Steel and the Carrie site. While the period of significance for the National Historic Landmark designation may end in 1935 (strangely, the reviewers did not find it necessary or desirable to include the CIO organizing period, which marked the first time that mass production industries like steel had extensive union representation, though ROSNHA certainly discusses these important events) the landscape’s community significance and context continues to change and evolve and should not be held static. In its current state, Carrie viscerally communicates the rise and fall of much of American industry, as well as the shift to a service-based consumer society. It also can teach visitors about the ability of non-human nature to rebound from incredible stress, as well as the lasting impacts of pollutants to soil and water resources. Ruins are important, especially if they can be sensitively integrated and incorporated into ongoing community needs and wants. 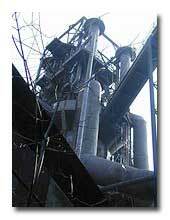 The Carrie Furnaces site is endeavoring to pursue just such an approach. The Bost Building served as headquarters for the Amalgamated Association of Iron and Steel Workers during the 1892 Homestead Lockout and Strike. Today, it is a visitor’s center for the Rivers of Steel National Heritage Area. 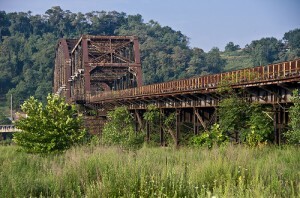 Credit: Rivers of Steel National Heritage Area. In 1991, the Pennsylvania Historical and Museum Commission published Made in Pennsylvania: An Overview of the Major Historical Industries of the Commonwealth. 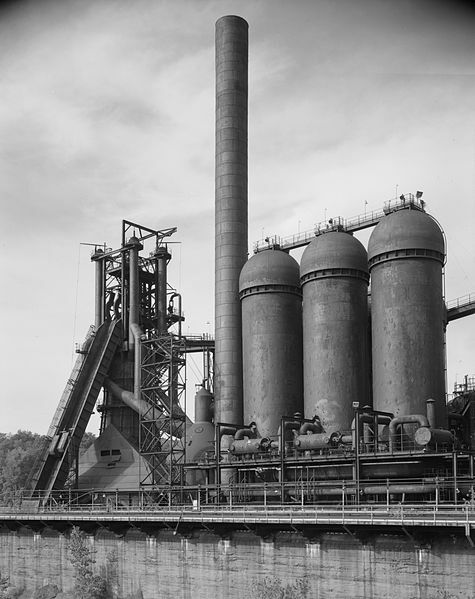 The text traced the course of the state’s industrial history, providing a succinct overview of major industries and significant historical landscapes, including steel, transportation, lumber and coal. In addition, Made In Pennsylvania also provided a useful overview of the status of preservation vis-a-vis the Commonwealth’s industrial sites. 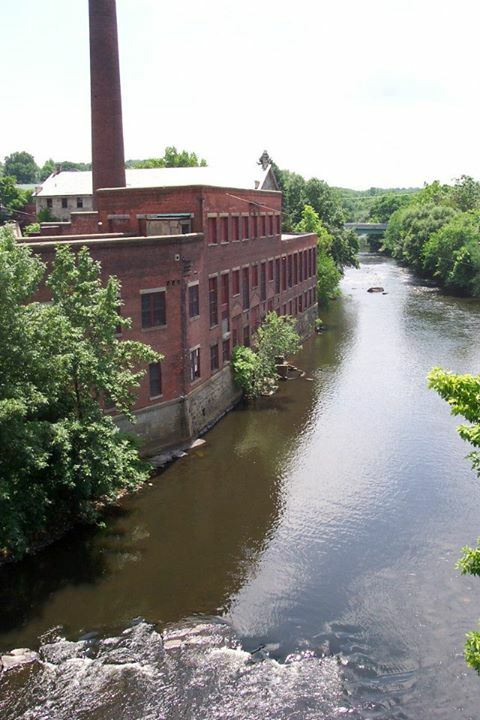 Reading the report (for the first time) over 20 years later, I was struck by the impressive work that Pennsylvania has done to both protect industrial sites and begin the process of interpretation and, if necessary, clean-up/restoration. I was also reminded of the important role that the 12 state and 6 national heritage areas have played in this process. 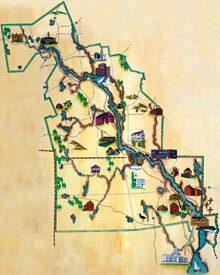 Consider, for a moment, a few of the landscapes and themes the Pennsylvania State Areas encompass: the Oil Region in the Northwest region, the Lumber Region in the Northcentral region, the former Coalfields in Lackawanna Heritage Valley, the transportation networks of the Delaware and Lehigh Valley and the steel communities of the Rivers of Steel area in the Southwest. These same regions and the industrial heritage within their boundaries were highlighted in the Made in Pennsylvania report. As noted above, many of these regions are also National Heritage Areas – a program now under threat. Legislation that links the National Park Service to 12 National Heritage Areas (including Rivers of Steel and Delaware and Lehigh) and allows for funding to flow to the Congressionally designated management entities has not been re-authorized, leaving preservation, recreation and conservation efforts in these regions, rich in industrial heritage, in a precarious position in Pennsylvania and elsewhere. In the wake of the positive evaluation findings noted in another post on the Observer, its time that NPS and Congress acted to provide long-term support to the program.